Convenient to Central Florida's top attractions & Gulf Coast beaches. Close to Disney World, Universal Studios and Detroit Tigers winter home. 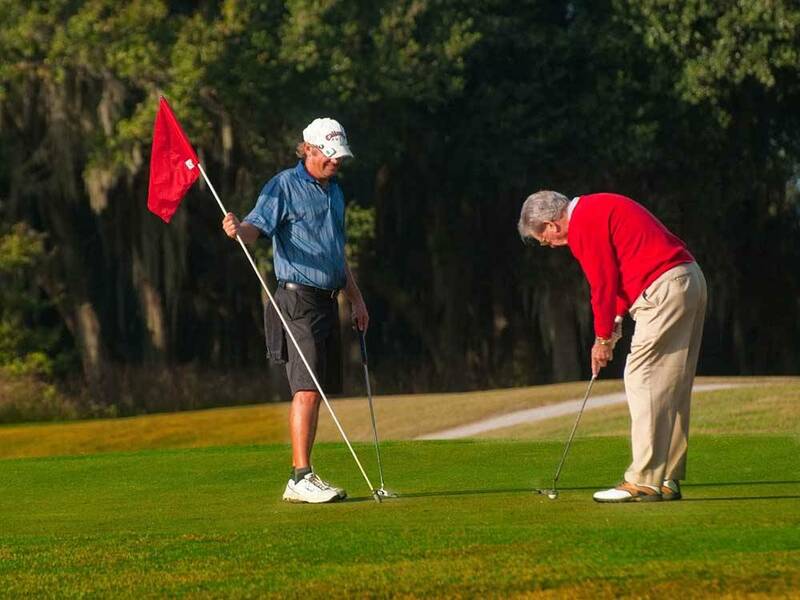 Enjoy 8 miles of shaded trails on Banana Lake and 3 distinct 9-hole golf courses. We stayed at Sanlan the week before Christmas and fell in love with the place. We got a good first impression from our first encounter at check-in. We arrived late and the Ranger was courteous and switched this rookie RV'er to a pull-through site. He led us to our site and made sure we were secure and comfortable. The office staff we met were also friendly and courteous, and helped us find an RV repairman to fix a problem with our rig. The grounds and campsites were clean and well-kept. The showers and restrooms were sparkling clean, as was the laundry area, which we made use of a time or two. 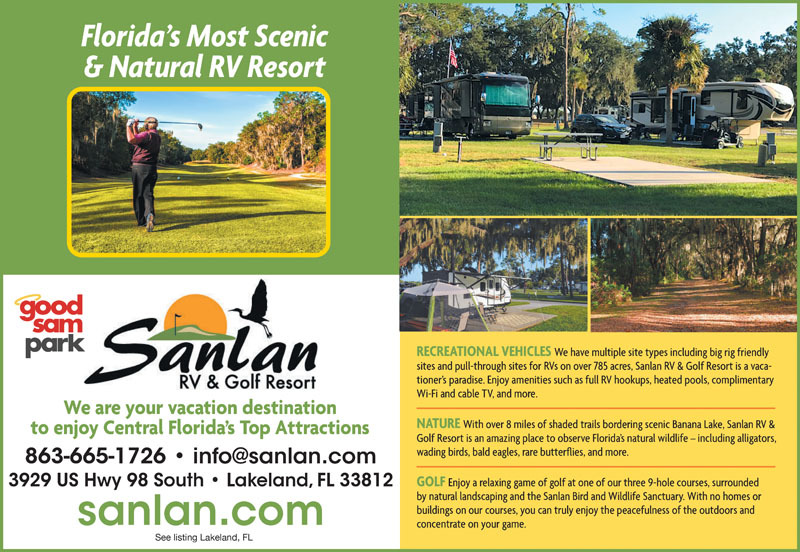 The RV park adjoins a golf course and a nature preserve. Our granddaughters and I enjoyed a nature hike in the preserve and I went back later and spent an afternoon taking pictures of the birds and native plants. The next time we're in the Lakeland area we will definitely stay at Sanlan.